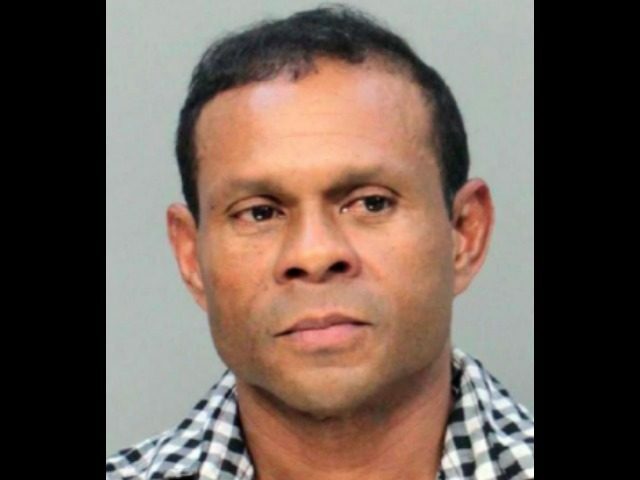 Vicente Adolfo Solano, a 53-year-old Honduran citizen, was charged in the Southern District of Florida after an investigation revealed his efforts to potentially mass murder hundreds to thousands of Americans. According to the Department of Justice (DOJ), Solano had planned to put an explosive weapon of mass destruction in a crowded Miami shopping mall, admitting to the scheme to a confidential source and undercover FBI agents. Solano also allegedly handed over three pro-ISIS videos to the confidential source and made statements that sympathized with ISIS terrorism. Before his arrest, the foreign national obtained what he thought was a weapon of mass destruction — but was actually a static, risk-free device — and brought it to the entrance of the shopping mall where he allegedly attempted to carry out the attack. Solano first came to the U.S. on a tourist visa over a decade ago and in 2002 was granted temporary protected status — which prevented him from being deported — for “humanitarian reasons,” according to the DOJ. Should the foreign national be convicted of the terrorism charges, he will face life in prison and a $250,000 fine. Solano’s case is only the latest attempt by a foreign national living in the U.S. to allegedly plot to mass murder American civilians. Earlier this year, Abdirahman Sheik Mohamud, a 25-year-old Somali national, was charged for allegedly traveling to Syria to train with the al-Qaeda-affiliated terrorist organization, al-Nusrah Front. After returning to the U.S., Mohamud allegedly plotted to get weapons that could murder American military officers and other government employees in uniform, even scoping out locations for the attack, according to the FBI.